THE AMOUNT OF mortgage lending “warrants careful monitoring”, according to a new Central Bank economic letter. The letter, published by Central Bank economist Enda Keenan and Martin O’Brien (head of function – macroprudential policy in the macro-financial division), focuses on mortgage lending in a comparative context. It says that while the the ratio of new mortgage lending to household disposable income (NMDI) stood at 6.7% at the end of 2017, that could rise to 8% this year if mortgage lending continues at its current pace. The letter says that house price growth and systemic failures of financial systems have often gone hand in hand and this means the sector should be monitored. The letter was published as a number of banks cut mortgage rates. Yesterday, EBS became the fourth bank in two months to cut mortgage rates. Permanent TSB and KBC reduced their rates in April and Ulster Bank did likewise in late March. 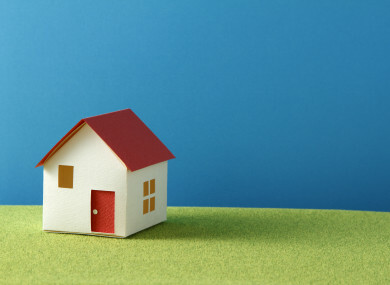 EBS has cut its 1, 2, 3, 4 and 5-year fixed rates for first-time buyers to 3.00%. A first-time buyer borrowing €270,000 at EBS’ previous 5-year fixed rate of 3.25% rate will have a monthly repayment of about €1,531. However, at the bank’s new rate of 3.00%, the same mortgage will cost €1,497 per month, which is a saving of €34 a month, or €408 a year. The Central Bank of Ireland recently revealed that 55% of all new mortgages drawn down in the first three months of the year came with fixed rates. Mark Whelan, Head of Communications at bonkers.ie said, “EBS’s rate cuts are good news for Irish borrowers and are a strong indicator that there is a mortgage rate war underway. Email “Many mortgage rates are being cut - but the sector needs 'careful monitoring'”. Feedback on “Many mortgage rates are being cut - but the sector needs 'careful monitoring'”.